Sam Mirpoorian, a senior in the Media Arts and Science (MAS) program at the IU School of Informatics at IUPUI, won the Best of Hoosier Lens award at the 2016 Indy Film Fest for the documentary film Under the Bridge: The Criminalization of Homelessness. Mirpoorian and the film’s team recently signed a distribution deal with Indie Rights Films in Los Angeles. Known by his friends and associates as Sam Miro, Mirpoorian produced the documentary film, which focuses on a homeless camp that has existed for more than 20 years in downtown Indianapolis—located under a bridge at the intersection of South Davidson and East Maryland streets. Under the Bridge was initially produced in 2014 as Uncharted: The Truth Behind Homelessness. Its first screening was held at the IUPUI Campus Center. Viewings around Indianapolis—including University of Indianapolis and the Indianapolis Museum of Art—brought the film to the attention of homeless advocates who were inspired to start working on a Bill of Rights. After an initial draft was vetoed, a later version of the bill was passed, making Indianapolis the first city in the nation to have such legislation. Unsuccessful attempts to attract distributors for the film led Mirpoorian and his partners back to the editing room to create a more balanced piece. Under the Bridge was finished in winter 2015. The documentary received national attention by the U.S. Dept. of Justice, the U.S. Dept. of Housing and Urban Development, and Harvard University. In addition, the film exposed Mirpoorian to experts working in the industry, several of whom had key roles in revising the film. “The MAS program taught me how to realistically manage multiple projects and maintain a balance,” Mirpoorian said. Guidance from staff like academic advisor Melinda McCormick helped him to map his academic path. And the school’s Career Services Office helped him find options for reaching his goals. Mirpoorian first used his camera for an assignment as a sophomore in high school, and shortly after that began to acquire better equipment—producing music videos that earned him a following on social media. Feeling that filmmaking was a legitimate pursuit, he chose the MAS program as an ideal environment for exploring his creativity. The idea for the film came from his filmmaking partner Adam Oppenheim, a writer who was looking for help with creating a film about the homeless situation. 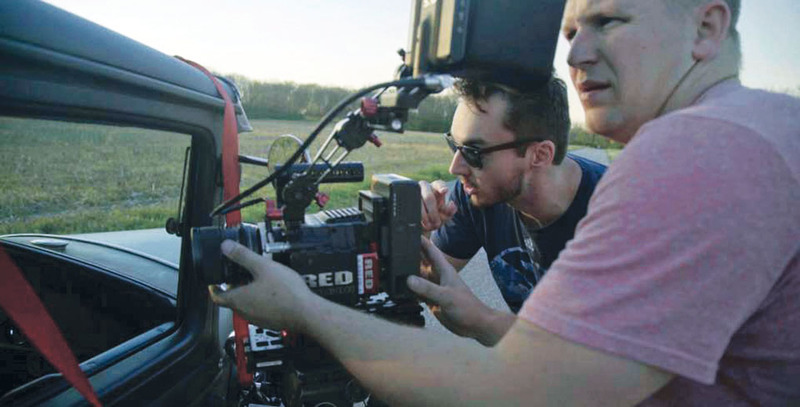 After graduation, Mirpoorian intends to pursue filmmaking opportunities in other U.S. markets. Those films will likely involve his interests in the environment and social issues. Learn more about and view Mirpoorian’s work.